If you’ve never made chocolate bark before, you are in for a special treat! 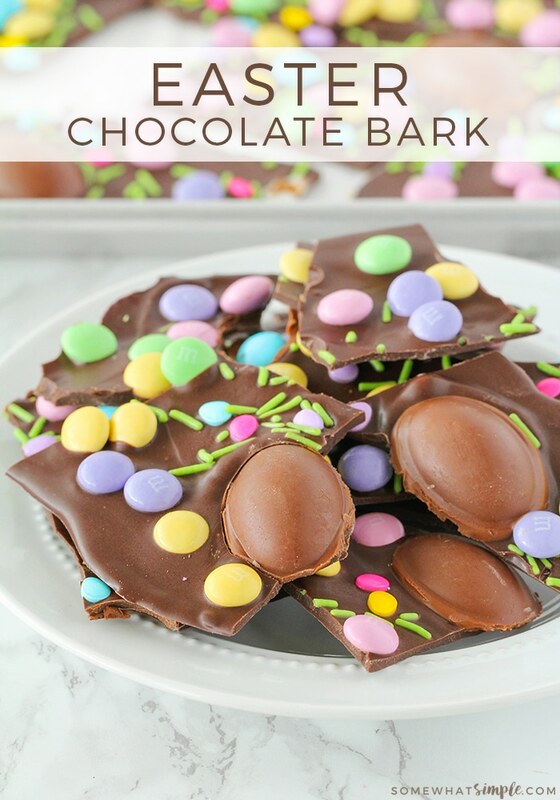 This chocolate bark recipe is not only super easy to make, it can also be customized to match any season or holiday of the year! 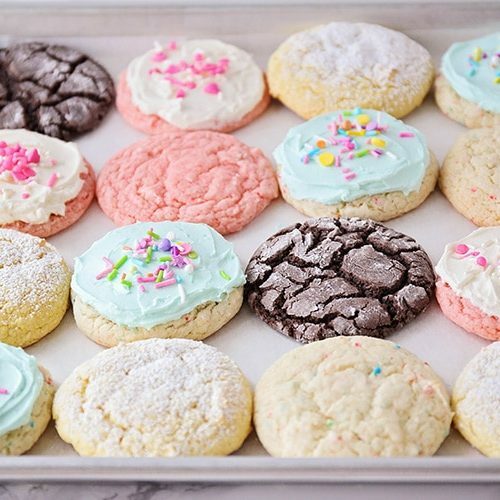 I love the holidays because there are so many fun desserts to make. Some of my other holiday favorites are these adorable Melted Snowman Cookies, Cupid Floats or these Pilgrim Hat Cookies. 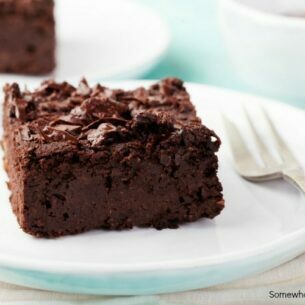 Calling all chocolate lovers!!! Are you ready for a delicious treat that is not only super cute to give as a gift, it is also soooooo easy to make? Enter: Chocolate Bark. 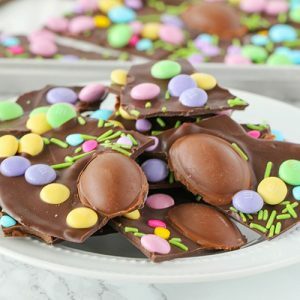 This Easter Chocolate Bark looks darling wrapped up and given to neighbors and friends, but it also makes a good addition to your kids Easter baskets! I’ve seen recipes out there that over-complicate the whole chocolate bark process. 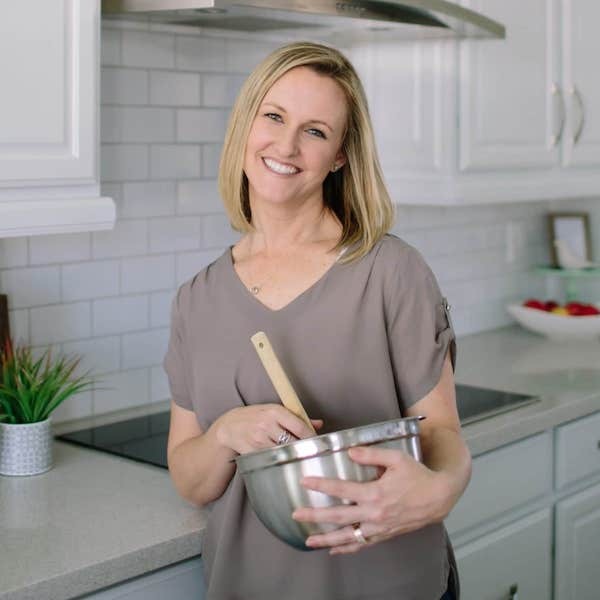 They say you need special oils or ingredients, and you have to have a double boiler or “it just won’t work.” But this chocolate bark recipe is simple and tasty and you can make it without any gadgets – I promise! So if you’ve never melted chocolate because you don’t have a double boiler, guess what? I don’t either and this recipe turned out amazing! 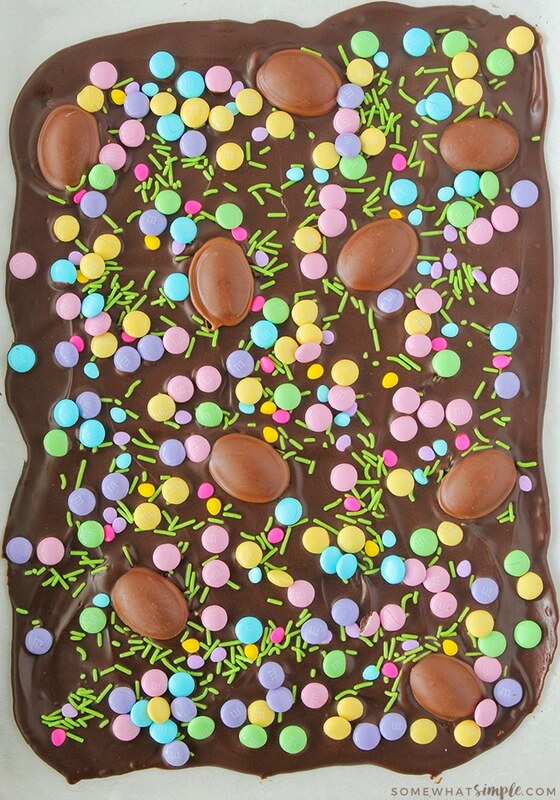 Also, making chocolate bark can be a creative and fun recipe for the kids to help you make! Mine LOVE sprinkling all the toppings on the melted chocolate. 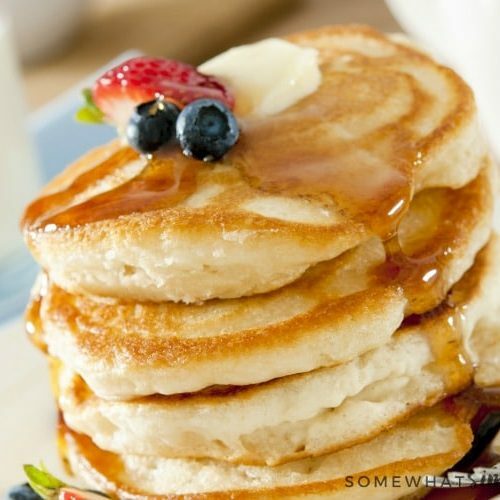 We probably make this recipe 3-4 times a year and it never gets old! 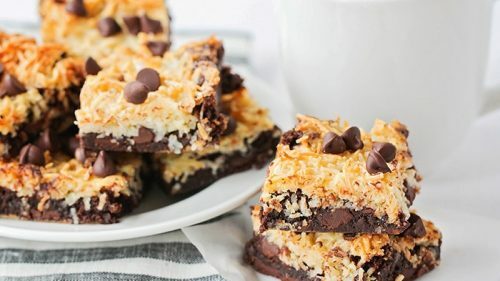 What I love most about this recipe is that it’s so versatile and can be made to fit any holiday or fill it with your favorite add-ins and enjoy all year long! The combinations are virtually endless. 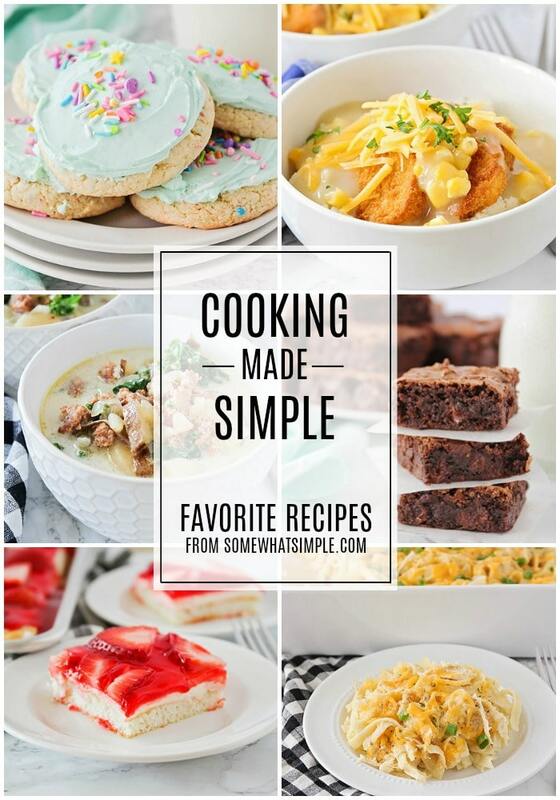 Here are some of our favorite things to add when making this recipe. It seriously does not get any easier than that! Leave us a comment below and tell us what you love to add in when you make this delicious bark recipe. Or tag us on social media because we always love to see what you’re making in the kitchen! 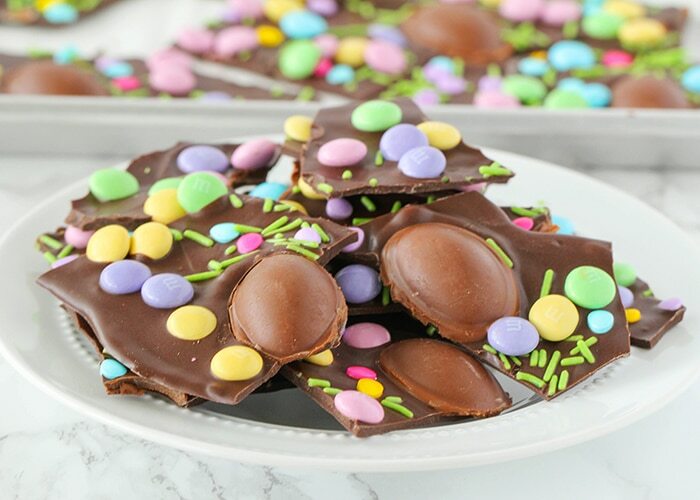 If you've never made chocolate bark before, you are in for a special treat! This chocolate bark recipe is not only super easy to make, it can also be customized to match any season or holiday of the year! 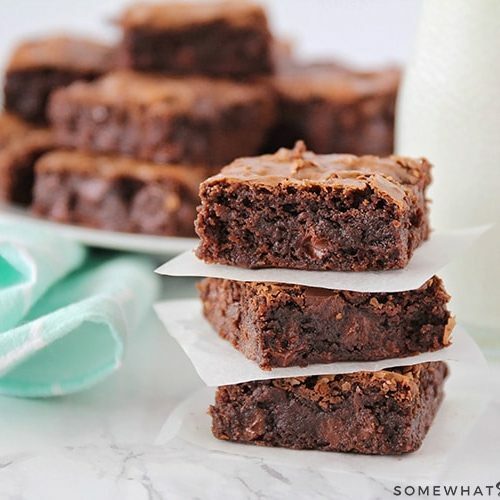 Melt chocolate in a double boiler, or place your chocolate pieces in a metal mixing bowl, then set it in a sauce pan of boiling water. Stir constantly until completely melted. Remove from heat. 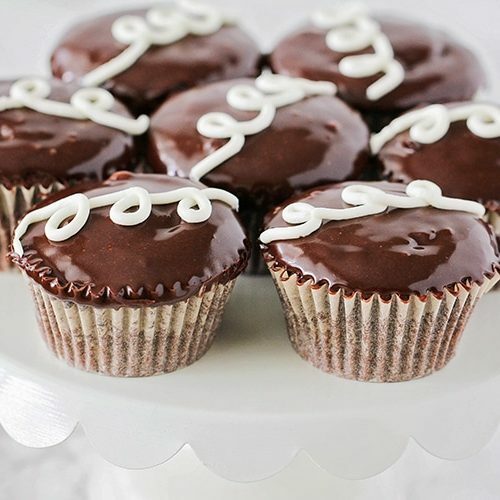 Immediately spread the melted chocolate into a thin, even layer on a rimmed cookie sheet that has been lined with foil. Lightly tap the pan on the counter to force any air bubbles out. Sprinkle candy toppings + salt (optional) evenly across the chocolate. Tap the pan again to settle the toppings into the chocolate. Freeze until chocolate has hardened. Adorable. This is a must-make for Easter! Thank you so much for making this easy on me to make! I’ve always been intimidated when it comes to melting chocolate so this puts me at ease that I can do it. Pinning to make this weekend. easy holiday treat. I love it!!! My kids love helping me make this! So fun and colorful! I love it when the kids get involved in the kitchen. So glad they enjoyed it! All my favorite Easter candy in one treat! Going to make this for my kids baskets.